Just one young man and his solo guitar! Scott Robertson is a professional guitarist with more than ten years of experience in the business. This year he headlined the International Spanish Festival, and played at The Royal Albert Hall. His light, gentle guitar playing is relaxing for everyone who listens, a perfect backdrop for any event. He plays classical, Spanish, and popular music for a variety of special events, including weddings. He has a vast repertoire of beautiful music. 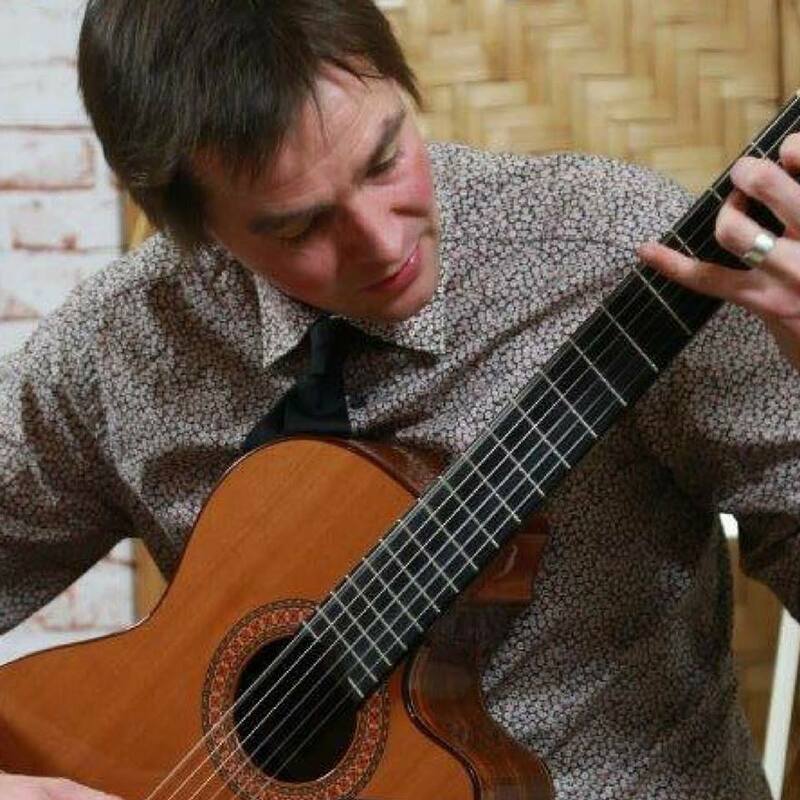 He is a seasoned performer with hundreds of hours of professional playing to his name, all over the UK. Previous clients include the BBC, Arts Council England, Rock FM, Lancashire County Council and 5-star hotels. You can find out more about Scott on Facebook.